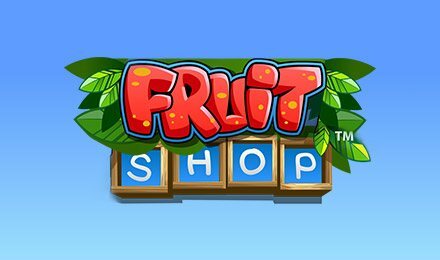 Fruit Shop Slots | Get a Juicy £500 BONUS + FREE SPINS! Spin through Fruit Shop slots and grab a delicious slice of its juicy rewards! The game features 5 colourful reels of fruity action, wilds, scatters, FREE spins, bonuses, multipliers and more! Grab a colourful slice of the fruity jackpot and play the juicy Fruit Shop online video slot at Vegas Spins! This popular game has taken the Fruit slot machine timeless classic, and given it a refreshing fruit-cocktail twist. This fresh spin-off boasts 5 energetic reels and 15 paylines of colour-blasting fruit graphics, catchy beats and fruity rewards. The vibrant reels are overflowing with juicy lemons, oranges, cherries and delicious watermelons. Any fruit can trigger the FREE spins bonus round which can multiply your winnings. If the fruit shop wilds or scatters land on the reels during this round, it can multiply your prizes by four, and help you win more juicy bonus rewards!